This week our theme is DARK. This can mean many things - dark colours, blackbirds, haunted mansions, Gothic themed pictures .... I could go on forever! Well, almost. Show us your slightly darker sides and have fun along the way. I like how the Raven turned that around! Great example! My girls in the dark are here. My Dark piece is in my blog. Wonderful! Here is my attempt at Dark. Mine are on my blog. Thanks for looking. 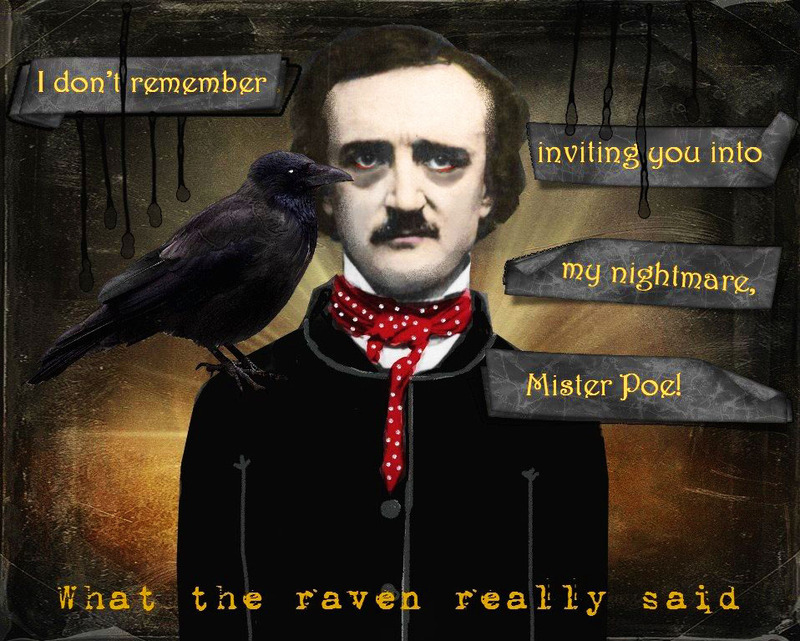 I love your Mr. Poe in this post. It is looking great! Forgot to say how marvellously clever and effective your sample is. I love it. My inspiration came from "Bodas de Sangre" (Blood Wedding), the dark love story by Federico García Lorca.